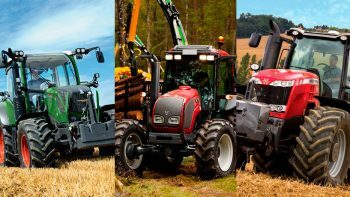 Authorised dealers for Fendt & Massey Ferguson & Valtra ranges of tractor & agricultural machinery. Southwest farm machinery dealer Alan Snow celebrates 35 years of trading in 2017 & 25 years as an authorised Fendt dealer. Alan, who started his business from the back of a van in 1982, is today the distributor for leading tractor brands Fendt (Devon and Cornwall), Massey Ferguson (Cornwall and West Devon) and Valtra (Cornwall and West & South Devon). The company operates from premises in Holsworthy, Launceston and Truro and employs over 40 staff. Alan has been involved with agricultural machinery all his life. Coming from a farming family, at an early age he decided milking cows wasn’t for him. His real passion was tractors and, after leaving school, he took on an apprenticeship with agricultural engineers Fulford Trumps. At the age of 25, he elected to go it alone and set up a small repair business from home in Thornbury. He quickly built up a reputation with farmers in the area and, as a result of customer recommendation, just three years later was appointed service agent for Fendt tractors. In 1989, he moved with his family to a new home in Sutcombe near Holsworthy which had enough land to build a workshop. He was awarded the full Fendt distribution franchise in 1992 and the business grew steadily over the next 14 years. Since then with relentless effort and dedication Alan, Di & the team have moved onwards and upwards and have become one of the most knowledgeable, respected and longest serving Fendt dealers in the UK. 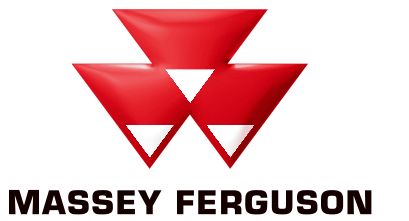 Alan’s next major milestone was his appointment as Massey Ferguson dealer for Cornwall and West Devon. Early in 2006 a new and exciting opportunity arose to expand Alan & Di Snow’s business. Local man Wayne Rundle joined them as a business partner to create Alan Snow (Launceston) Ltd which coincided with being awarded the Massey Ferguson franchise for Cornwall and West Devon. In October 2006 the second branch at Tregaller Works near Launceston opened for business. With increased interest for both Fendt and Massey’s in Cornwall it soon became clear that another depot in West Cornwall was needed, so the third branch was opened just off the A30 at Blackwater near Truro in 2008. Since then the Massey trading area has been increased to include the whole of Cornwall. In April 2012 after outgrowing their premises at Tregaller, the Launceston branch were delighted to move into their own purpose built new premises at Kennards House, again ideally situated just off the A30 the premises have a brand new workshop, stores & offices. Then in 2014 we were delighted to be appointed by AGCO the Sole VALTRA dealer for all of Cornwall, West & South Devon. This exciting new venture is run out of our Holsworthy & Truro Depots. 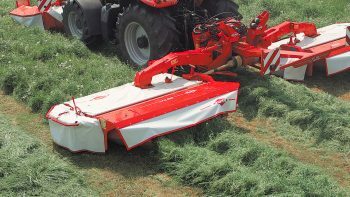 Into 2016, we were proud to be appointed KUHN main dealers for North and West Devon & now more recently we now have the KUHN franchise at our Truro depot. Into 2017 Alan Snow agricultural engineers will be celebrating 25 years as an authorised FENDT dealer, making us one of the longest serving Fendt dealerships in the UK. So Alan Snow Agricultural Engineers which started from the back of Alan’s van back in 1982, are today main dealers for the following leading machinery brands: Fendt, Massey Ferguson, Valtra, Merlo, Kuhn, Stewart trailers, Pichon tankers & muckspreaders & BVL diet feeders.